“Who” refers to people; “that” introduces an essential clause (vital information), and “which” introduces a nonessential clause (supplemental information). “They’re” is a contraction of “they are;” “their” is something a person possesses, and “there” is a place. “Then” has a couple of meanings, such as a point in time and “in addition to.” “Than” compares two things. Apostrophes are used for two things – possession or letters missing (contraction). When you have more than one thing, do not add an apostrophe before the plural “s” at the end of the word (cats, not cat’s). As for last names, if you want to refer to your family without listing first names, write “The Smiths” not “The Smith’s.” Years also shouldn’t have apostrophes. The 1990s was an awesome decade, not the 1990’s. However, if you’re contracting a decade to the last two digits, use an apostrophe in the beginning. “Irregardless” is not a word, but “regardless” is. You play things by ear, not by year. 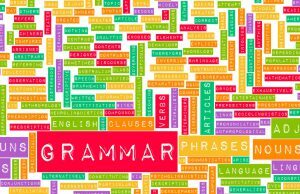 This entry was posted in Clients, Currently Employed and tagged common grammar errors, common grammar mistakes, grammar errors, grammar missteps, grammar mistakes. Bookmark the permalink.